Free Practice Analysis – Medical Billing Solutions, Inc.
Is your medical practice running with maximum efficiency? need to know. Find out if you have revenue falling through the cracks! Do you wonder if your medical billing process could be improved? Coding Analysis – are you coding services accurately? Reimbursement Ratio – are you collecting ALL the revenue you should? Accounts Receivable – are you writing off too much too soon?! Because of our vast experience, our medical billing and coding specialist usually find missed opportunities for revenue. In most cases this is due to services that providers are not billing for, the wrong fee schedules or coding inaccuracies. Our recommendation report includes benchmarking information, coding analysis, missed revenue opportunities and proposed solutions. If you would like to take advantage of our FREE Medical Practice Analysis, please complete the contact form on the left. Once submitted, one of our billing and coding experts will contact you quickly to gather a little more information. In order for us to complete the billing analysis, we will need some financial reports and example patient notes. Submitting this form does not create any obligation on your part. The practice analysis is completely free. Please know that we will not share your contact information with any other party. A full service medical billing company dedicated to helping our clients get paid more and faster! Medical Billing Solutions, Inc. has been helped providers increase their income since 1988. 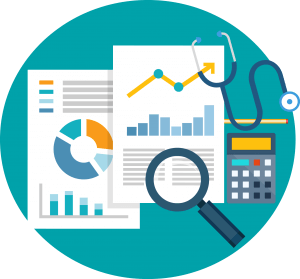 We want to help you by offering this FREE medical practice billing analysis. Feel free to contact us to learn more about our medical billing solutions and practice management services.